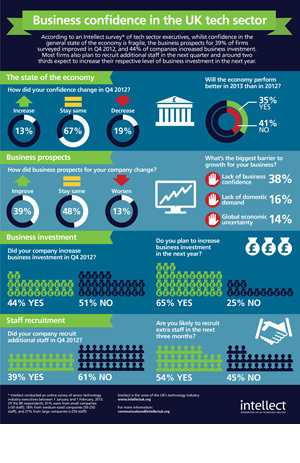 Trade group Intellect, the voice of the UK’s technology industry, produces quarterly surveys taking the pulse of confidence in the sector. They turned to us to create a shortform infographic, within brand guidelines, that captures the key findings in a highly visual way. You can see the full infographic on Intellect’s website here.